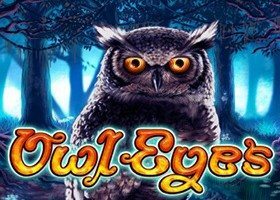 The Best Online Bonuses are All About The Biggest Slot Wins & Owl Eyes Has it All! 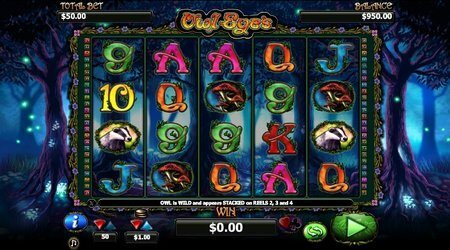 Owl Eyes Slot is a 5 Reel and 50 Payline Slot game set in the mysterious woods accompanied by all the creatures and sounds that one would expect. 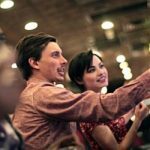 The gaming experience at Luck’s Casino is incredible since it also has handcrafted graphics, which create a suitable atmosphere that will mentally take you to another world. 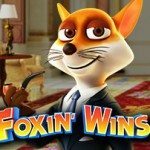 But if it’s the best online bonuses you’re looking for, you won’t find better than Owl Eyes – especially when you can play for real money to win up to £10,000! Enjoy the Free Play Online Slots Bonus In Demo Mode. Or Bet £££ To Win Your Share of the Loot! 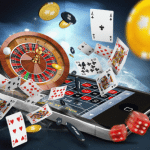 If you are a newbie when it comes to online slots, then Owl Eyes Slots can be a bit of a challenge – it’s more for the experienced gamers. This is because of its medium variance. However, even novice players have the option to play for free in demo mode first and see how easy Owl Eyes actually is. 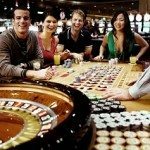 After all, if you are looking for best online bonuses at Luck’s Casino, then you better start from the top! Wild Symbol: The Owl, and it can appear on reels 2, 3, or 4. 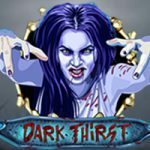 Here, wins are really significant since a big win on free spins is 5x for 3 Moons, 20x for 4 Moons, and win a whopping 100 x of your bet for just 5 Moon Scatters. Powered by NextGen Gaming, players will find that whatever expectations they have will be exceeded at Luck’s Casino. 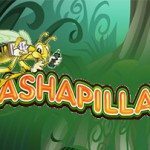 When it comes to Owl Eyes, the massive wins are with the free spins and this is what makes it the best online bonus. Better still, is that free spins can be re-triggered to result in multiple wins all from a single wager. But don’t take our word for it, register at Luck’s Casino to play today for free in demo mode or with real money. With bets as low as 0.01p there’s no reason why even a more modest win can’t be yours to enjoy!